STATES Type SJK Test Switches have long been used for providing a reliable, simple means to test meters, relays and instrument transducers and for control system calibration, disconnection, troubleshooting, checkout and testing. 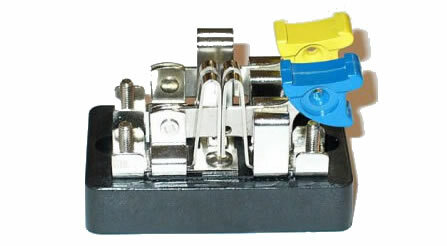 Make-before-break short-circuiting elements for current transformer circuits and test jacks are available. Each switch blade can be operated independently or, where necessary, adjacent handles can be ganged for simultaneous operation. All configurations are available in front-connected, back-connected or flush-mounted styles. Click here for Catalog/Product Information PDF.